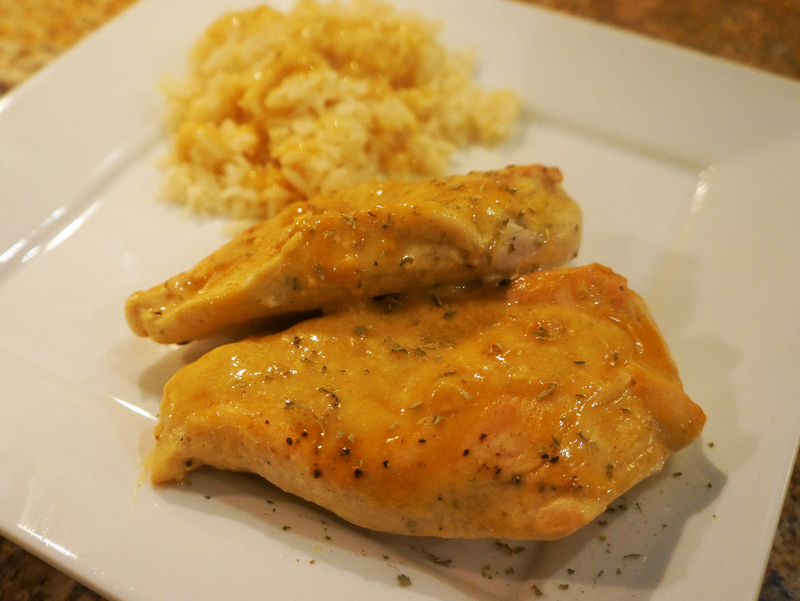 I keep meaning to post this recipe, because it’s seriously the easiest, quickest tastiest chicken recipe out there. It’s so flavourful and tangy yet savoury and sweet all at once. I originally got the recipe from the witty in the city blog, who calls it ‘Man Pleasing Chicken’, and I’ve been sharing it with my friends ever since. I use chicken breasts instead of thighs because D hates thighs – err..chicken thighs. They’re amazing with chicken breasts, probably better than thighs (for us, anyway). This recipe takes literally a minute to throw together, and 30 minutes in the oven will do it (40 minutes for thighs). Preheat your oven to 450 degrees F. In a small bowl, mix together the dijon mustard, maple syrup and vinegar and set aside. Place the chicken in a foil-lined, oven-proof baking dish and season with salt and pepper. Pour your maple mustard mixture over them, making sure both sides are covered by turning them in the sauce. Cook thighs for 40 minutes, and breasts for 30 minutes. Pour the remaining sauce over the chicken once they’re ready, and serve with rice (with more sauce!). Garnish with rosemary. Enjoy! Pingback: Slow and steady. « an (un) organized life.